Home / Editor's Choice, Entertainment News, Featured Articles, Gossip and Drama, Videos / Watch Controversial Prophet SPEPHERD BUSHIRI faking a miracle, this is total madness (VIDEO). 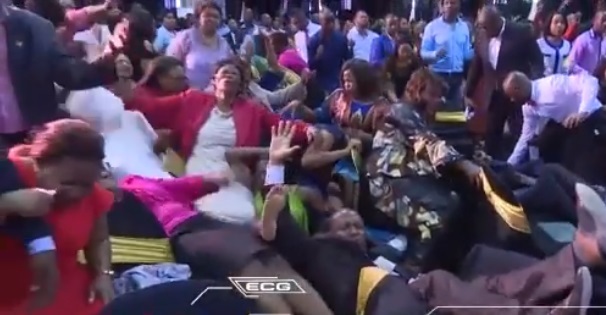 Watch Controversial Prophet SPEPHERD BUSHIRI faking a miracle, this is total madness (VIDEO). Wednesday, August 23, 2018 - Controversial televangelist and self proclaimed Prophet Shepherd Bushiri, is among African preachers who have been faking miracles and brainwashing innocent souls. Most of Bushiri’s miracles are stage managed and despite being caught up in a lot of controversies, he still commands a huge following. In this video, Bushiri was caught on camera faking a miracle. This man is a notorious con.